This little gal may be small, but it's one of our loudest and proudest gift boxes. The vibrant fuchsia, hot pink, pink whatever you decide to call it, will make all of your girl friends (no matter how small) smile bright. Perfect for giving gifts or packaging up party favors, this container's small size makes it ideal for all types of tiny items. Jewelry, candies, small ornaments, you name it! Whether it's a baby shower, bachelorette party, birthday bash, or Breast Cancer awareness fundraiser, this box fits all occasions! Adorn it with a bow or ribbon or leave it as it is. With its alluring fuchsia design, it'll look great at any type of party and needs no wrapping paper. This box also stores flat so you won't have to worry about cluttering up your space before the big party or event. 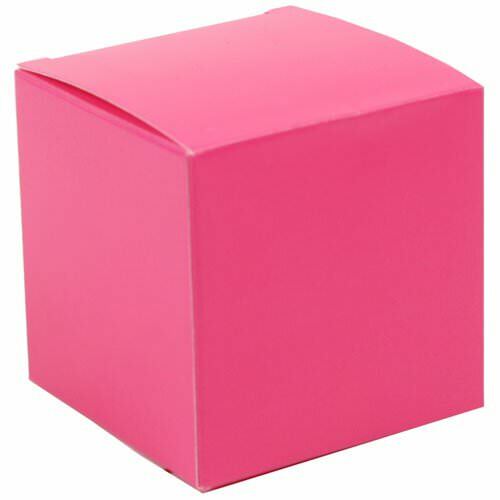 Fuchsia Glossy Gift Box measures 2 x 2 x 2. Sold in packs of 10.